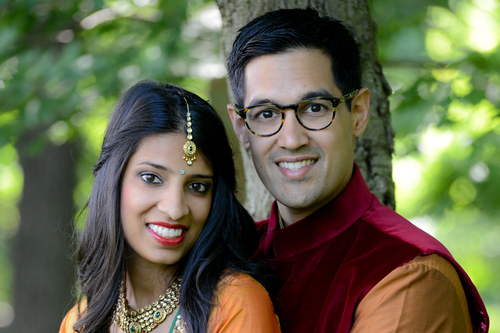 Komal and Shalin - Sonal J. Shah Event Consultants, LLC. Sonal and her team were a pleasure to work with. We truly appreciated their attention to detail, sincerity, and proactivity. Even though we hired Sonal for day of coordination, the moment she got on board, it felt like she was our full time planner! She quickly became involved in every aspect. Her team was fantastic! For the event, they were so kind and attentive to the timeline, but also (and most importantly) to the bride and groom. There was always a staff member at our sides, taking care of all the little things we may need…their sincerity and helpfulness was above and beyond what we expected! We had a great time working with Sonal and co. and were impressed with their service, thoroughness, and especially their organizational skills from day one.